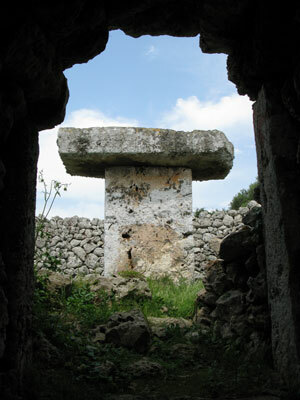 The walk takes in both the Talaiot settlement of So na Cacana (1300 BC to 123 BC, Talaiot = control tower) and the hidden Taula at Torre Llissa. 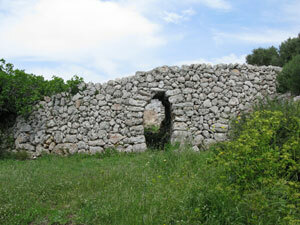 Starting in Cala'n Porter follow the main Mahon [Mao] road for approximately 2Km. 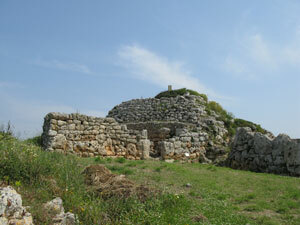 Take the Carrera de Alaior towards Alaior, after a further 0.6Km you reach the Talaiot settlement of So na Cacana. Leave So na Cacana heading again towards Alaior for a further 0.6Km and at the crossroads take the left road Cami de S'Alblagia. 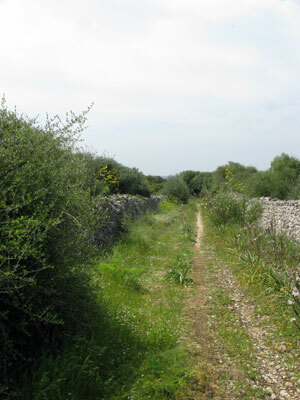 Follow this for 0.4Km and turn left in towards the farm and Torre Llissa, past the farm, keeping left and through the break in the wall leading to the Taula. 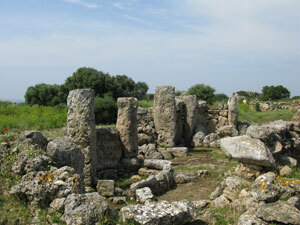 The Talaiotic site of So na Cacana. dates back to 1300 BC. 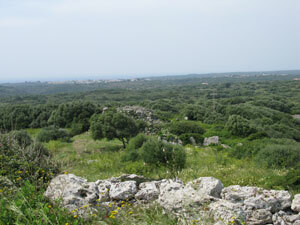 Looking over the Menorcan countryside.